There’s a lot happening this week, including a Purim celebration, Shabbat services, and the turning of our Sunwheel, a unique TEMV tradition! Friday, March 22, 2019, 8:00 p.m. Note changed time so those who wish to do so may attend the Lowell rally in memory of the victims of the New Zealand mosque shootings (see below). 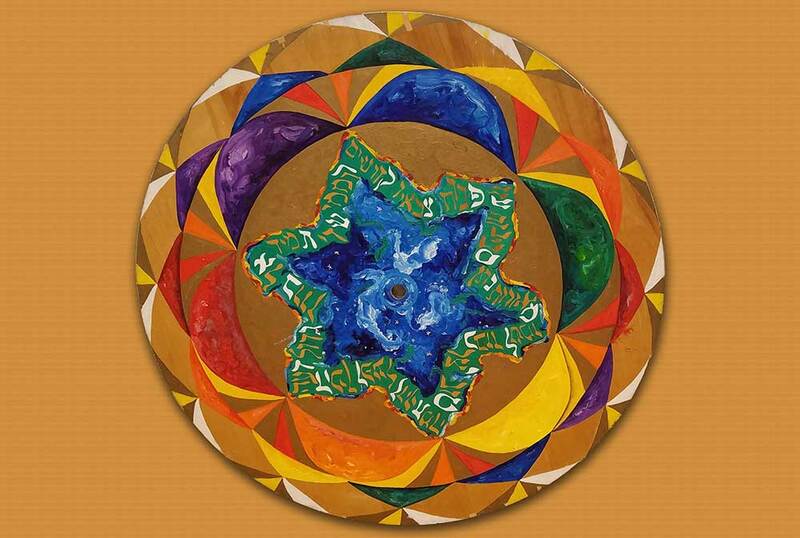 Our services will include turning of the sunwheel and blessings for those born or celebrating anniversaries during the spring months; Megillah reading and text study following the service. It is customary to celebrate Purim by dressing in costumes, bringing gifts of food to friends, and also donating food and charity to the poor. Please feel encouraged to engage in as many or as few of these customs as your heart desires. Not all who come to services at TEMV don costumes, but there are always some hats and fun items on hand if you feel like being not-quite-yourself (in a merry way). Board Host: Dana Rudolph Oneg host: Rachel Rand Please bring an oneg item to share! Rabbi Sparr will be available for office hours on Tuesday morning and Thursday afternoon this week. Appointments can be made in advance by contacting her at rabbi@temv.org or during business hours at 508-736-5555. In an emergency or urgent need, do phone at any hour. Sunday, March 24, 2019, 10 a.m.
Come in your costume and celebrate Purim with Megillah reading, songs, Purim parade and holiday activities. Please plan to arrive at 9:45 and remember snack and tzedaka. Also see our full Hadashot (School News). Friday, March 22, 6:30 p.m.
Across from City Hall Please join TEMV members and others from the local community as we stand with our Muslim friends in the wake of the tragic shooting at two mosques in New Zealand. We echo the thoughts of Rabbi Rick Jacobs, president of the Union for Reform Judaism. April 4 and 25, May 16 and 30, and June 6, 7:00 p.m.
Hebrew Reading classes will resume in April, using the workbook Aleph isn’t Tough. In addition to continuing students, new students with some basic Hebrew reading are welcome to join, and those who would like to learn to read and do not yet do so are urged to reach out to Rabbi Sparr to arrange a fun and easy “crash course” (dates tba) to bring you up to date. Sunday, May 19, at 2:00 p.m.
All members are invited to attend the TEMV Annual Meeting. There will be an election for our new Board of Trustees, a vote on next year’s budget, and updates on some of the exciting programs and events we have in store as we approach our 70th anniversary. Join the Jewish Climate Action Network for The Second Jewish Climate Conference: The Time Is Short, the Task is Great, on Sunday, March 24, from 12:30-7:30 p.m. at Temple Reyim, 1860 Washington St., in Newton. JCAN is excited to be partnering with the Synagogue Council of Massachusetts, Beantown Jewish Gardens, LimmudBoston, and Temple Reyim in bringing this conference to the Jewish community. Sign up for the conference here.